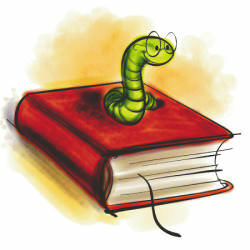 Bookworm hangout online Saturday night at 9 Eastern. Open to all Liberty.me Members, regardless of literary taste (or absence thereof). Come one, come all! Bring a drink, bring a book, bring a friend! We usually talk a bit about books, a bit about TV, and a lot about anything fun. Let’s record this one again, because that’s a lot of fun. See you all tomorrow night!